Happy Halloween from our TWINkies! 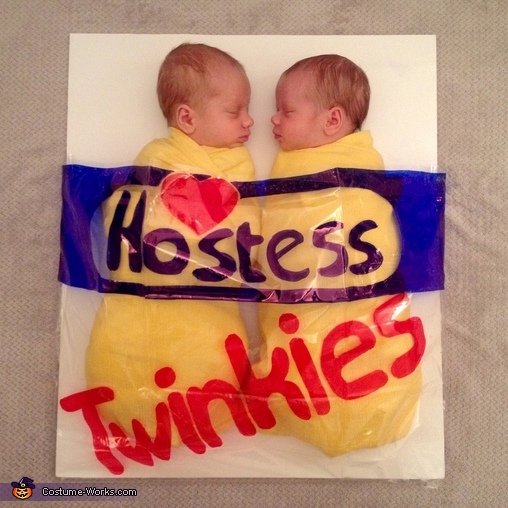 We were looking to make something fun and creative for our newborn twins…TWINkies was just the answer! Which is which? One can definitely tell them apart. Are they staying in. Chattanooga for awhile oe coming back to Texas. ( where should I send their gifts?) The costume is adorable.